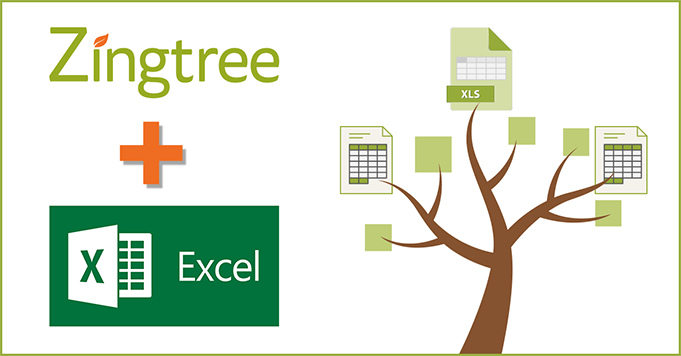 If you’re comfortable using Microsoft Excel, you can build the first draft of your Zingtree decision trees in Excel using a spreadsheet, and then easily import them into Zingtree. Once you’ve successfully imported your tree, you can modify it and enhance it using Zingtree’s editing tools, which offer a lot more decision tree related functionality than Excel. 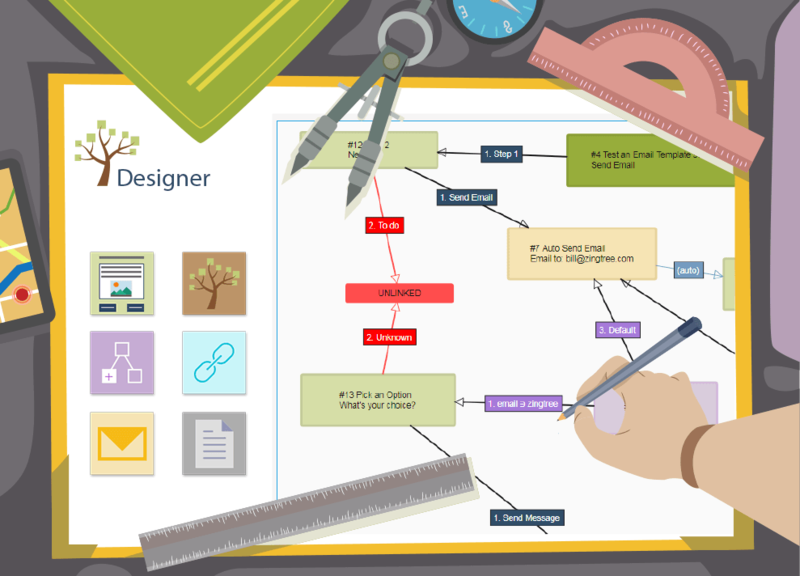 Zingtree can create decision trees from Excel, or any similarly formatted tabular source. Your spreadsheets just need to be set up in a specific way for this to work. Note: This spreadsheet has two tabs: Basic and Advanced. Column A is for the node number. Usually, this is sequential. It’s required. The heading must say “Node“. Column C is the question that is being asked. You can leave this blank if you want an answer node. The heading must be “Question“. Column D is for any content that appears in the content area. This is imported as plain text, but you can add formatting, images, and videos later using the Zingtree editing tools. The heading must read “Content“. For the button columns, you can make them link to other nodes by adding the node number in square brackets. In the above example, cell F2 has a button labeled “Yes” that links to node #2. ( Yes ). Once you’ve finished your tree, it needs to be exported as a TXT file. This is also known as a tab delimited CSV. 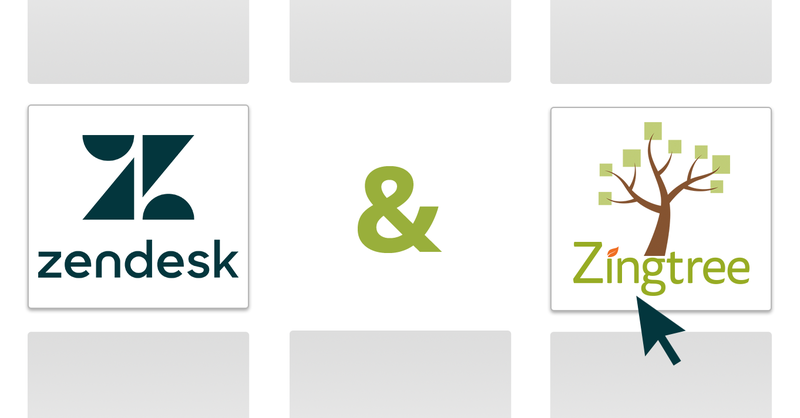 You can also just copy and paste cells from your Excel document into Zingtree. Excel copies tab delimited CSV data to the clipboard automatically. To start, download our “what to wear” example tree, as an Excel.XLS file. Open this file in Excel, and start modifying it. You can use the Basic or Advanced tab – most people start with the basic option. Make sure to keep top row column headings in place. Keep questions in the question column, content in the content column, etc. When you’re done, you can import it into Zingteee via copy and paste, or by exporting to a TXT file. In Excel, select the entire range of cells for your tree, and copy to the clipboard (Ctrl+C or Cmd+C). Choose Microsoft Excel as the source. In Excel, go to File, Save As, and select Text (Tab Delimited) as the type. The file name will become the name of your tree. Click Save when finished. If you want to overwrite an existing tree, select it via Replace Tree. Otherwise, a new tree will be created. Click Import File, and locate the file you created in steps 1 and 2. This article was originally published January 26, 2017.